This Kershaw Ener-G flipper knife model 1740BLK has a flipper on the spine that enables you to open this knife fast, fast as an assisted opener. The design of the flipper is such that it builds up energy as you apply pressure which accelerates the blade as it opens. Once open a liner lock catches and holds the blade in place. 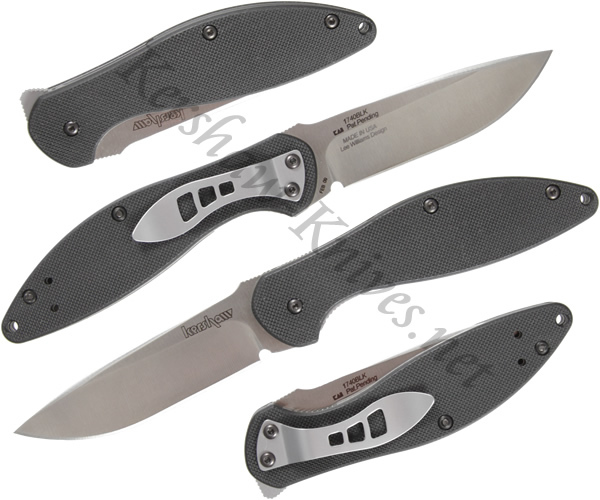 This Kershaw 1740BLK model has a 410 stainless steel handle with G10 overlays.